For once, I am actually a bit at a loss for words when it comes to where to begin this story. I suppose I just need to take a deep breath and remember to keep the caps lock off, as I don’t want my elation coming off as yelling. The player becomes said Shapeshifting Detective, who is able to shapeshift into nine different characters in order to gain access to secret conversations and private encounters. But what are you investigating, exactly? Someone named Dorota Shaw has been murdered, and the three prime subjects happen to be tarot card readers who are able to predict murder... or perhaps commit it? Each is very secretive, so your shapeshifting ability will be incredibly important as you can be anyone — including the next victim. The Shapeshifting Detective is an FMV game, which means it is entirely comprised of videos. More specifically, over 1,600 full HD videos. In this case, each video is the other side of your conversation with the person. You can either type or select (hopefully, and based on Doctor Dekker I’d expect this to occur) questions to ask, and the person you’re conversing with will respond. Of course, none of it has to be truthful. You can even decide to say nothing in an attempt to prompt further response. That’s not to say it plays like a film, though. 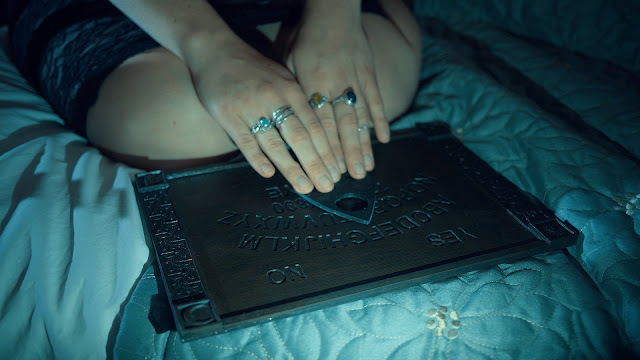 There is a branching storyline with a randomly chosen murderer (between the three tarot card readers), multiple locations, and an in-game radio station that plays short dark fiction. I suppose it still sounds a bit like a film, but due to the one-sided conversation being displayed it definitely doesn’t feel like one. What surprises me the most about shapeshifting is that when you become another character, your questions and responses will still be voiced by the corresponding actor. It’s a nice twist on having silence from this side of the conversation. There are a few familiar faces in The Shapeshifting Detective if you’ve played The Infectious Madness of Doctor Dekker. My favourite, Aislinn De’Ath (above), is back; her ability to draw me into the intrigue of the story is one of the reasons I loved Doctor Dekker as much as I did. 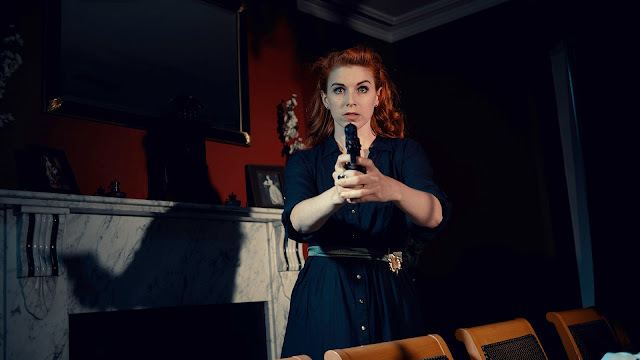 Rachel Cowles, Molly in Doctor Dekker, returns as well. 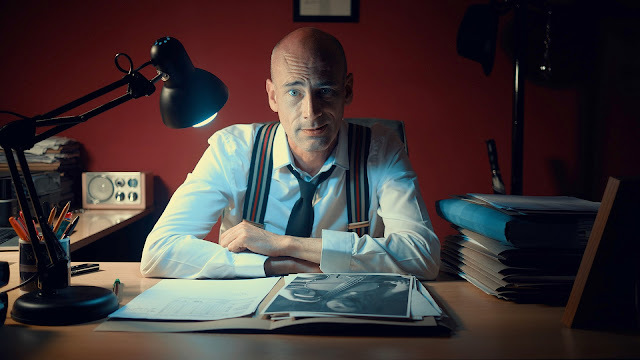 The cast also includes two actors from another FMV title, 2015’s Contradiction: Rupert Booth (below, as the police chief, nonetheless!) and Anarosa De Eizaguirre Butler. 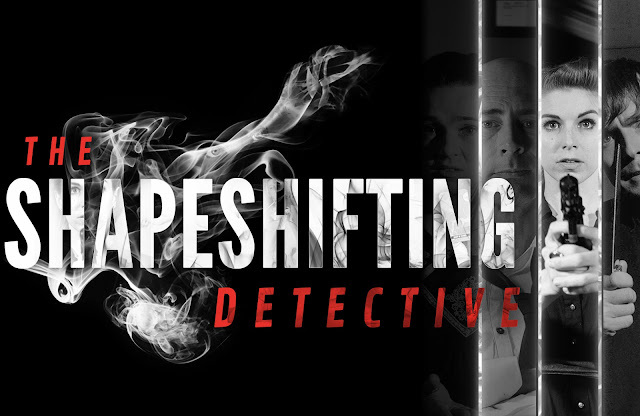 The Shapeshifting Detective is written by Lynda Cowles and Tim Cowles, and is also directed by Tim Cowles. It’s being published by Wales Interactive and will be released for PC via Steam, Nintendo Switch, PlayStation 4, and Xbox One in the fourth quarter of this year. As it gets chilly up here in Canada, I’ll be looking forward to curling up with The Shapeshifting Detective as though it were a (very high-res) great book!